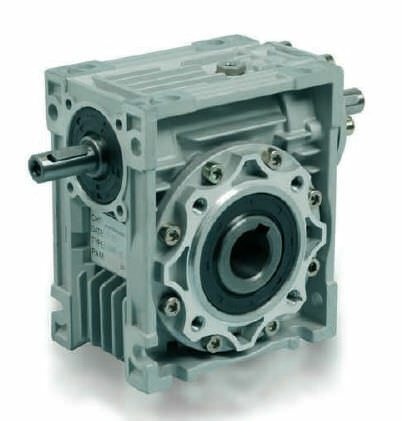 High reliability, compact volumes and easy construction are among the main characteristics of new Chiaravalli planetary gearboxes. 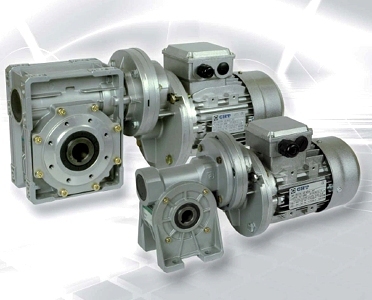 As one of the main advantages, our planetary gearboxes can be easily assembled with electric and hydraulic motors, worm gearboxes (CHM series) and input shafts. 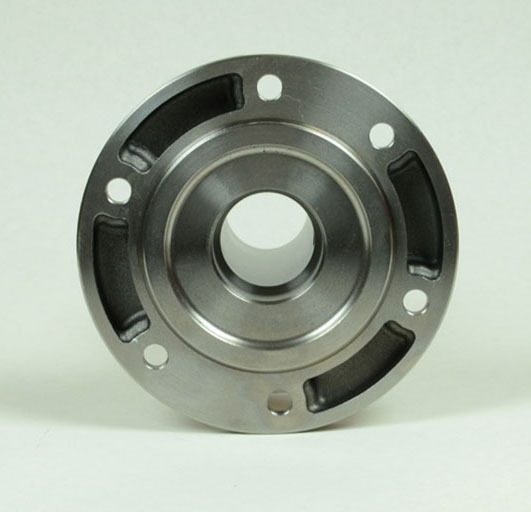 Furthermore, they can be assembled with different output flanges or shafts, all these characteristics make them suitable for several industrial applications. 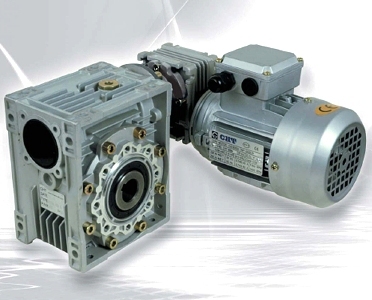 Chiaravalli planetary gear boxes are available in linear version (CHPL) and angular one (CHPLB). 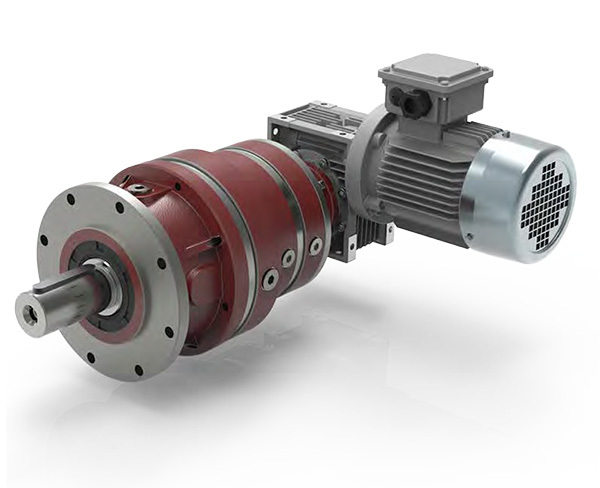 Our range covers 11 transmission sizes, from 100 daNm up to 3500 daNm, rate reductions from 3.55:1 to 3422:1 and more with four reduction stages (these available upon request). 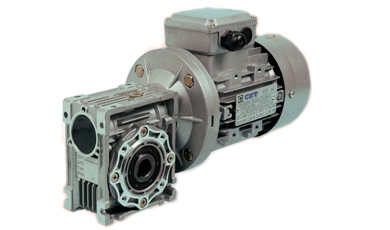 Chiaravalli planetary gearboxes are available at anti rusted treated blank surface ready to be painted. 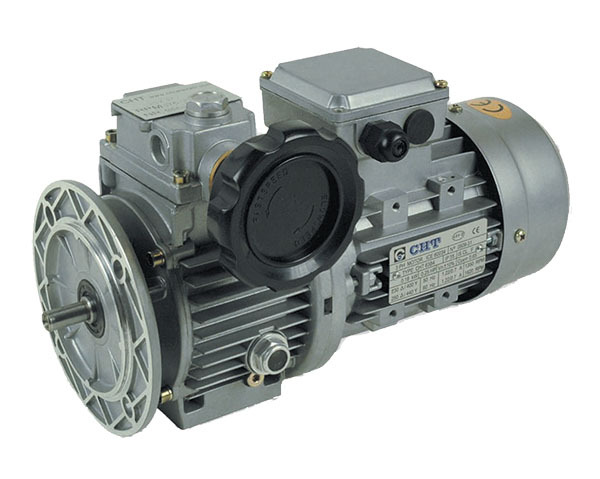 Chiaravalli presents its line of mechanical oil-cooled variators CHV series in sizes 02-05-10-20-30-50. The new series of Chiaravalli mechanical screw jack, named CHS, is a product, the innovation of it is due to modularity whitch allowins to supply a customized product in reasonable times. 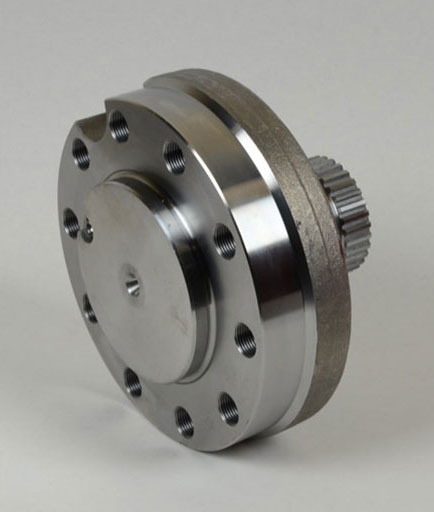 The coupling with electric motors (either on normal, motor brake or explosion-proof motors) is guaranteed thanks to the predisposition to IEC B5 and B14 flanges. This type of worm gear screw jack is used in many fields where it is necessary to lift considerable weights, such as automated production lines for sheet metal machinery, packaging, printing, textiles, plastics, food, renewable energy and more. 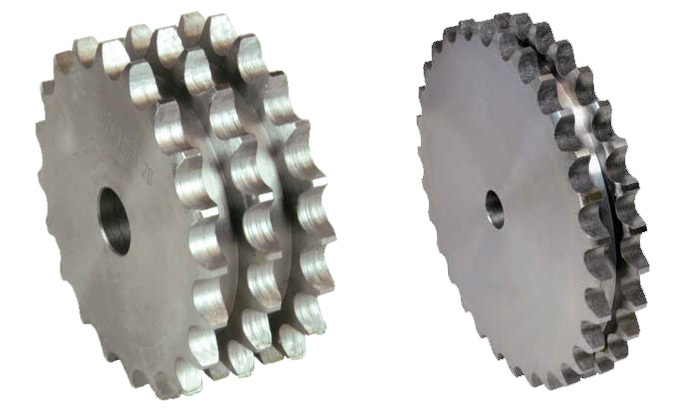 The range of Chiaravalli sprockets designed for chains manufactured by Chiaravalli provides an all-round solution to the needs of industry in the sector of flexible mechanical transmissions and is the result of a manufacturing process that is designed to achieve the top in terms of technical and quality performance. 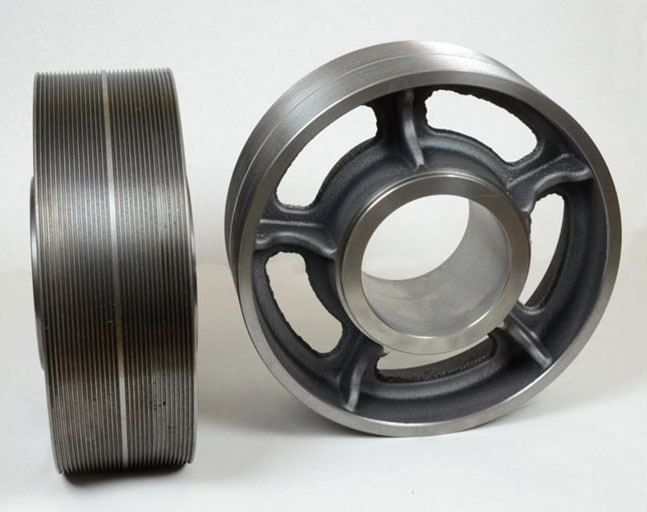 Our production programme includes sprockets and wheels designed for chains, produced in compliance with the principles and with the most recent Standards and International Unified Standards: UNI, ISO, DIN, ANSI, etc. 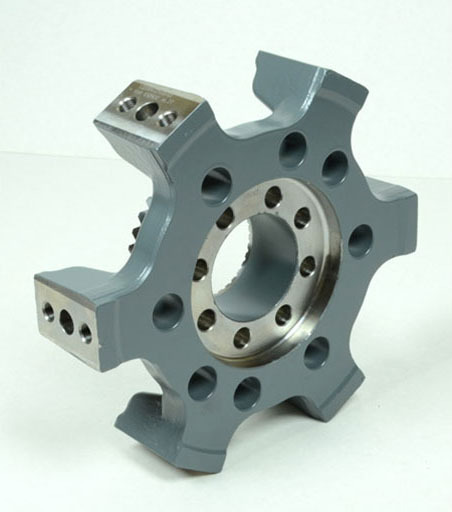 However, the standards define a profile with minimum dimensions and a profile with maximum dimensions for the wheel space for chains and rollers and the actual profile must lie within these values. 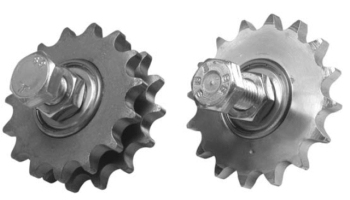 Our sales programme is completed with single and multiple roller chains, and special chains suitable for every industrial application and Chiaravalli is also able to manufacture sprockets and platewheels suitable for chains in a specific execution, produced to drawing any of material and with induction hardening and case-hardening and hardening applied to steel wheels and sprockets. 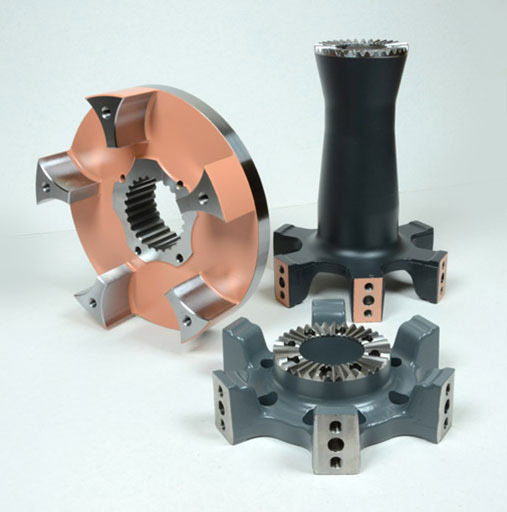 The range of platewheels designed for chains manufactured by our Company provides an all-round solution to the needs of industry in the sector of flexible mechanical transmissions and is the result of a manufacturing process that is designed to achieve the top in terms of technical and quality performance. 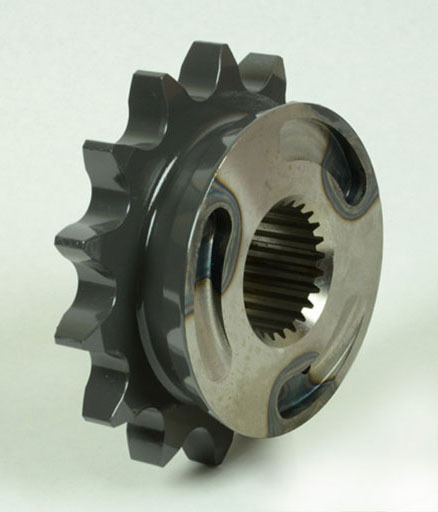 Steel, stainless steel, cast iron sprockets and platewheels in compliance with DIN and ASA for single, double, and triple from 5mm-to 2”pitch. 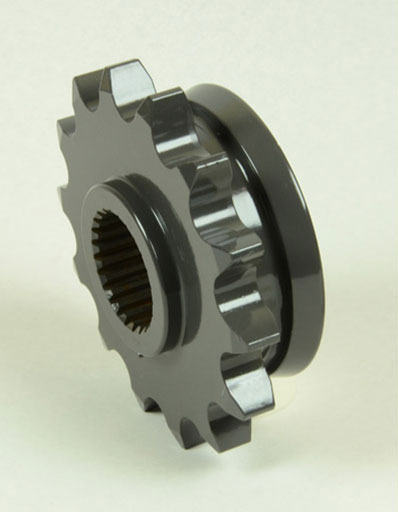 Taper Lock sprockets for single, double and triple from 3/8”-to 1”1/4 pitch and THF TEETH too. 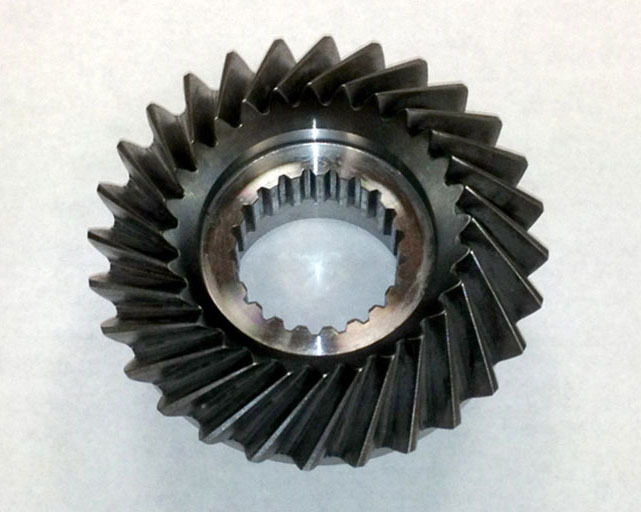 THF hardened tooth sprockets from 3/8” to 1” pitch with finished bore, keyway, and setscrew hole. Chiaravalli produces all its automatic tensioners in Italy. 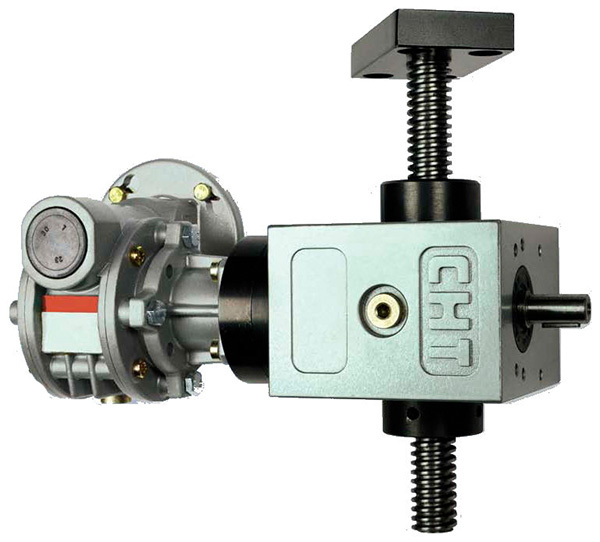 Our automatic tensioners keep the tension of the chains and the belts constant. Their automatic tension action improves the performances and increases the duration of the chains and the belts, thus reducing the maintenance on them. Furthermore, the tensioners can also be used as pressers, to keep any item in the desired position in movement on the transport band lines. The tensioners are available in a wide variety of models and sizes, they are used in several applications such as agricultural machines, conveyors bands, packaging, bottling and printing machines and industrial applications, where chains or belts are involved. 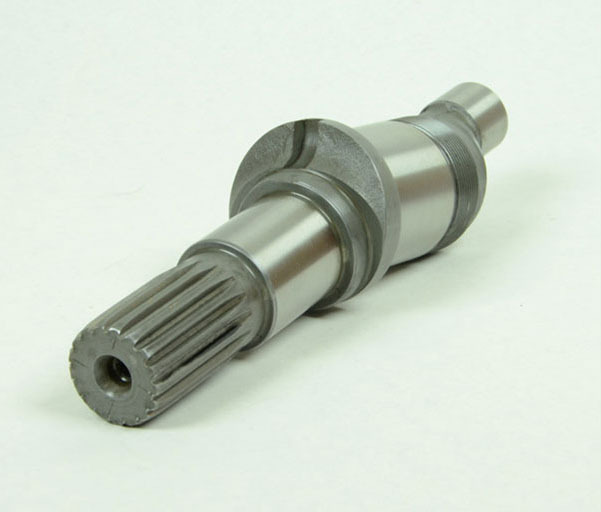 The high quality of the used materials and the accuracy of the items machining process, make our tensioners, higher quality products, with long-life, capable to withstand heavy loads in any environment. All tensioners with aluminum body/base are black painted through the cataphoresis process. This process consist of the immersion of the parts with a continue electric current. The deposited film confers to the tensioners aesthetic and anticorrosive characteristics, then prolonging ther life time. 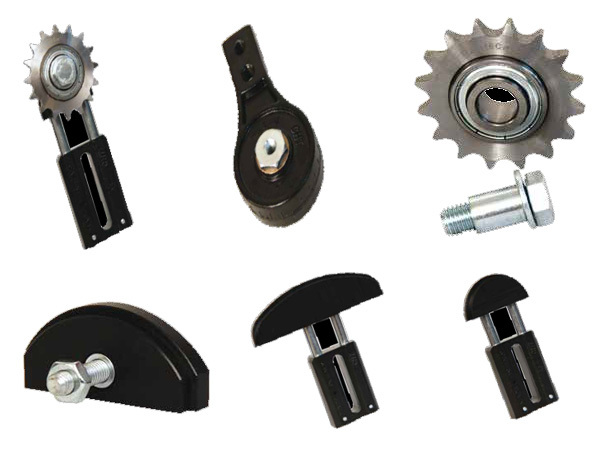 The tensioners can be provided as single elements, in linear versions AS and L and rotating T and E, or complete of chain tensioner sprockets, belt tensioner roller or chain tensioner sliding block (in polyethylene UHMW high molecular mass 1.000.000 black). Straight gears and racks are the classical components for mechanical transmission of rotary and transverse movements between moving parts of machines. 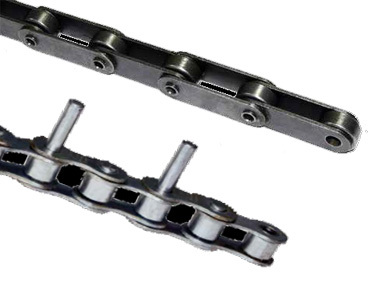 This explains why these components are so widespread and are used to such a large extent in various sectors of general mechanics such that in practice it is impossible to find a rigid type power transfer drive chain which does not adopt these basic components. 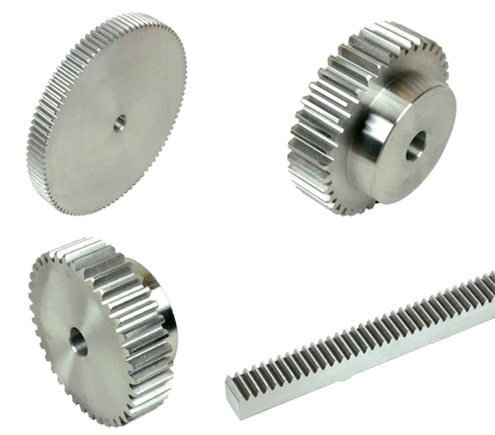 We offer industry a broad range of gears and racks for general use, combined in a standardised series, which is characterised by excellent quality. The gears and racks produced using standardised C40 steel are manufactured adopting modular sizes in accordance with a reference profile that complies with DIN 3972 II and a full head radius. This ensures complete engagement at the base of the tooth with an obvious increase in the bending resistance. The internal specifications that define the geometry of the tooth prescribe a marked “K” profile for the side surface, with a strict limitation of the profile errors to negative deviations. This has a positive influence on the level of noise of the toothed pair, since the engaging impacts to the teeth head are reduced. 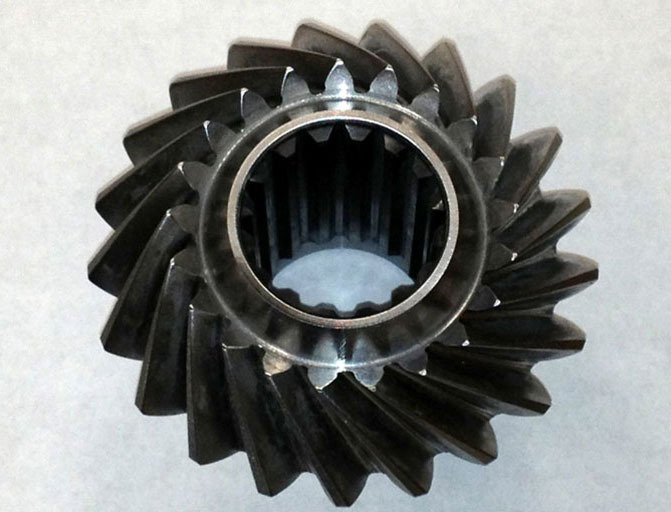 The range of machines used, comprising almost entirely of very modern machines that have cutting edge features and design enables our company to produce gears based on a drawing in qualitative at A very competitive price. The external configuration of Chiaravalli bevel gears complies with the sizing criteria as established by the DIN 3971 Standards, while the tooth geometry, corrected by displacing the profiles and by varying the taper, is a specific solution exclusive to Chiaravalli. 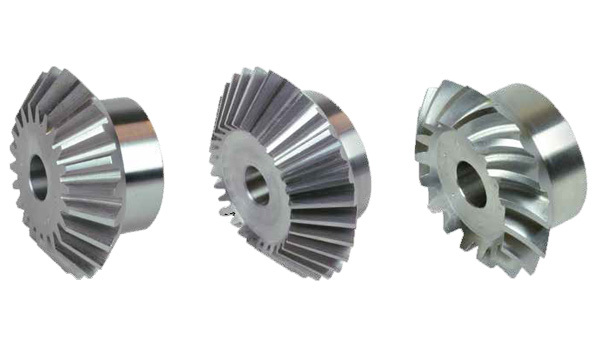 All the bevel gears manufactured by Chiaravalli will be produced in accordance with the profile envelope procedure on modern gear cutting machines, which enables Chiaravalli to ensure a satisfactory quality level thanks to the systematic checking of processing tolerances. 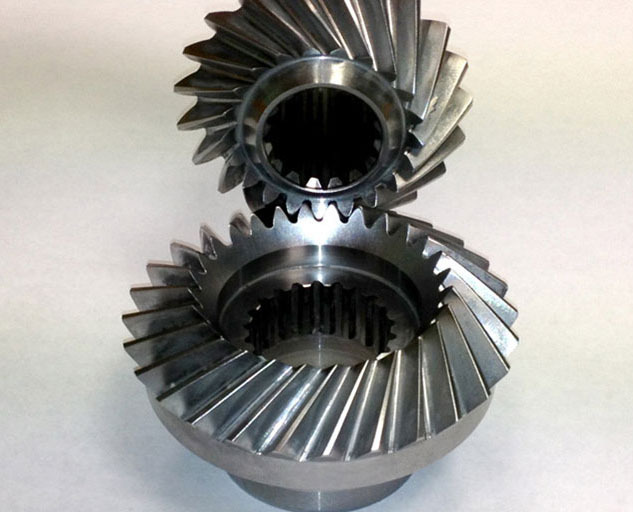 For this technological sector too, the equipment and the range of machines available to Chiaravalli enables the Company to produce bevel gears based on a drawing and in accordance with the Customer’s specifications. 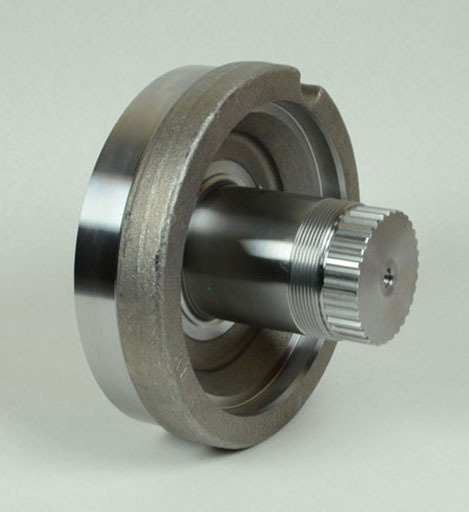 Toothed belts and pulleys are of major importance in synchronous drives based on flexible components. 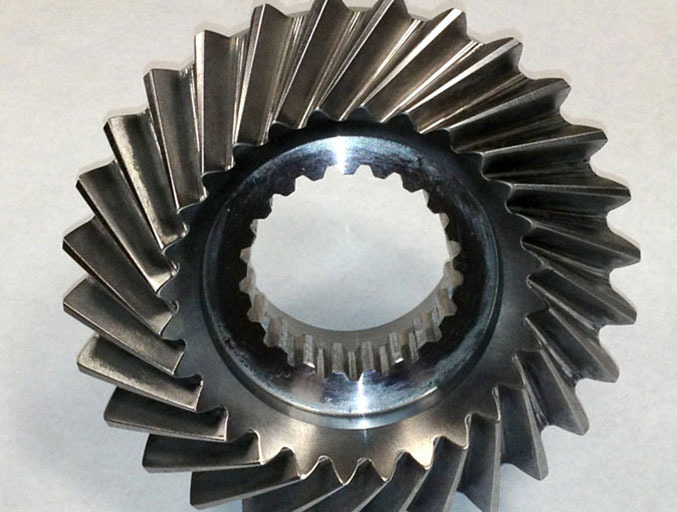 These components enable problems to be overcome efficiently and very economically, problems that would otherwise require the use of kinematic motion gearing or transmissions with articulated link chains. 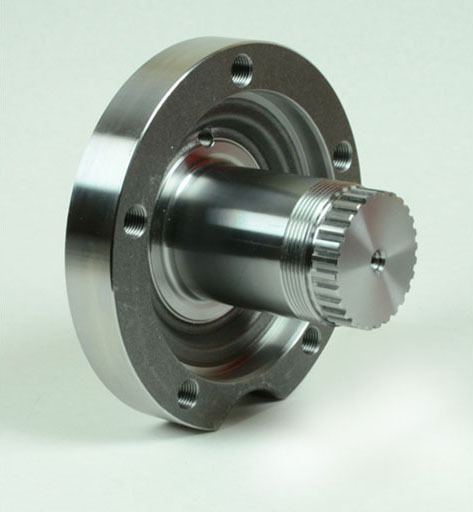 The quality of synchronous transmission depends to an equal extent on the characteristics of both the belt and the pulley, which therefore must comply with demanding design and construction criteria. 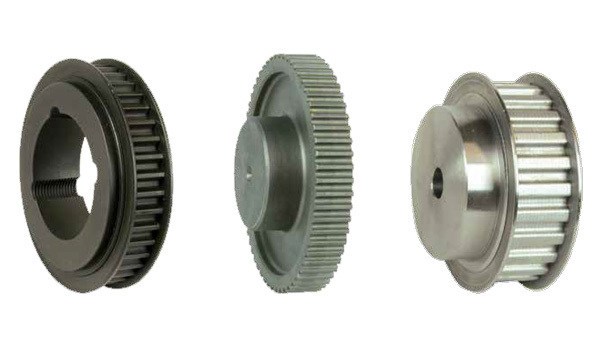 Chiaravalli avails of the technical collaboration of the most qualified manufacturers of belts worldwide and produces the Company’s complete range of toothed pulleys and Chiaravalli timing pulleys in compliance with current Standards, but implementing a series of adjustments designed to improve the matching characteristics with the belt. 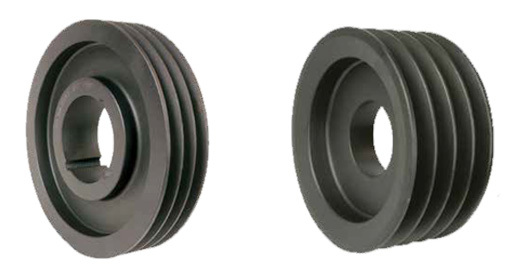 All Chiaravalli V-belt pulleys are compliant with current legislation and are made of cast iron GG 20 with protective phosphate. 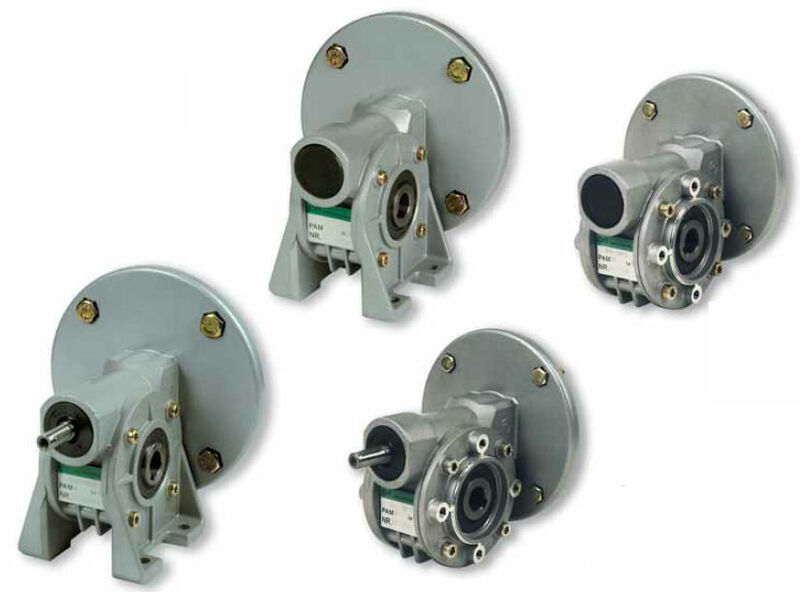 Running in normal standard, the pulleys are statically balanced and this is sufficient for peripheral speeds up to 25 m/s. For higher speeds is essential dynamic balancing can be provided on request. The Chiaravalli Group SpA is able to perform, upon request, balancing pulleys with diameters up to 630, with balancing CNC, accompanying certificate of balancing performed. 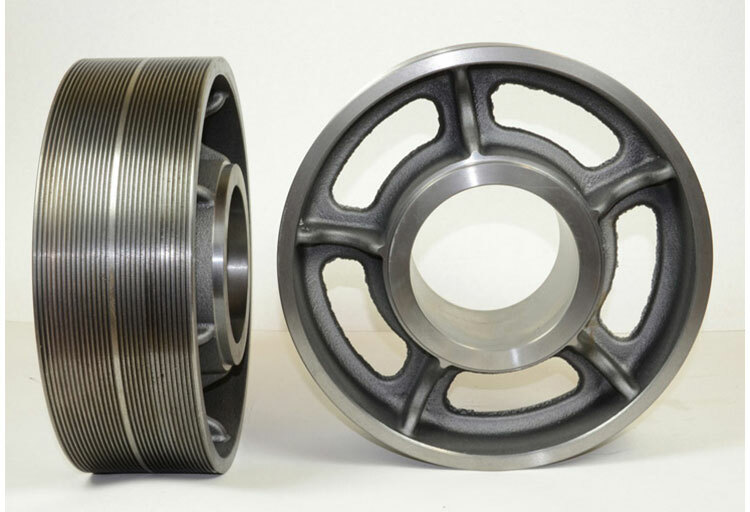 Over 35 m / sec, the pulleys in cast iron are not the most suitable and it requires the use of high-strength material. 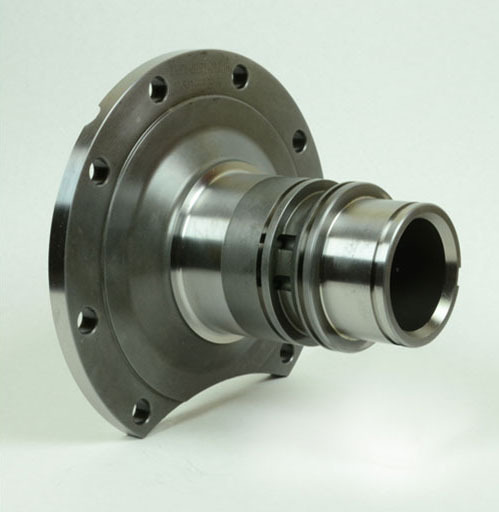 Flexible torsion couplings, which are connecting devices between rotating shafts, are designed to ensure shock-free torque transmission and to compensate minor alignment deviations in operation between the shafts in industrial use. 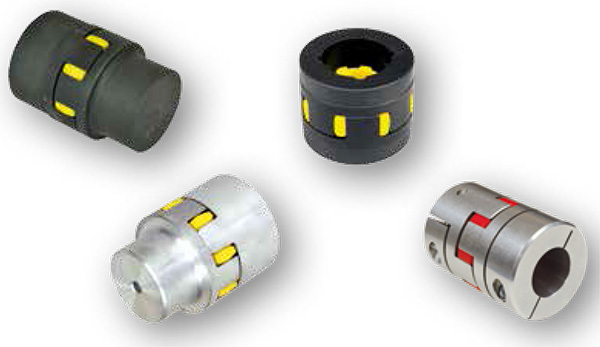 The GE-T range of Chiaravalli flexible couplings ensures this level of performance and also provides excellent quality thanks to the machining accuracy and the choice of materials used. The general level of reliability provided by the GE-T couplings is ensured by a satisfactory useful working life of the couplings. 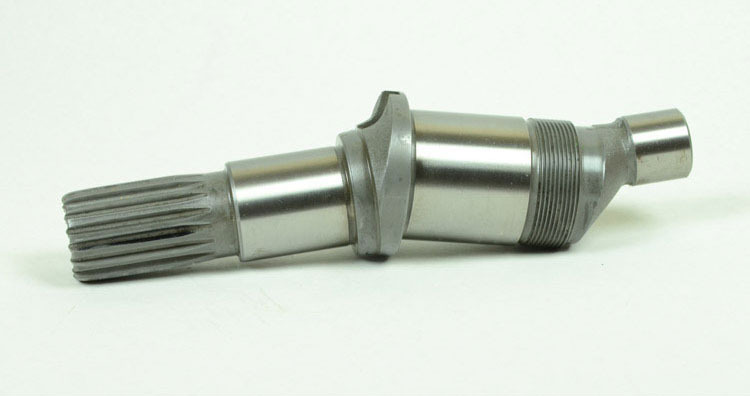 Operation of the flexible torsion couplings, such as the GE-T type or similar couplings is characterized by a proportional feature between the twisting torque and the torsion angle and by the ability to compensate limited angular and radial misalignments. Key features of equal importance, but which are more difficult to interpret are represented by the absorbing factor and natural frequency or resonance.